One of the 7 continents in the world, Europe is located in the northern hemisphere, west of Asia and north of Africa. Europe is separated from Asia by the Caucus mountains and the Black Sea and separated from Africa by the Mediterranean Sea. 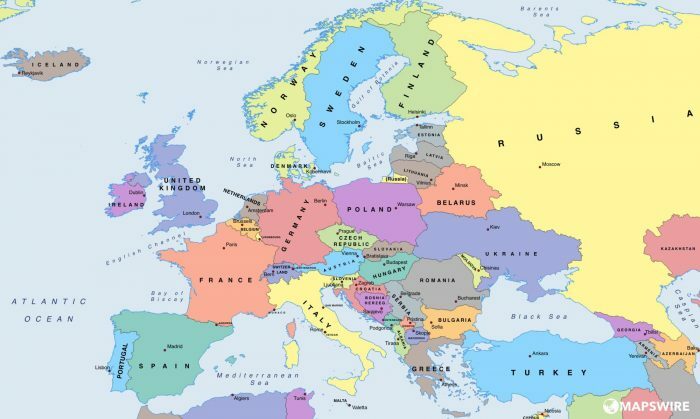 Europe has a land area of ~4,000,000 sq. mi, occupying about 2% of Earth’s total surface. Europe contains about 11% of the total world population (741 million). Due to its small size and proximity to the oceans, most regions in Europe experience temperate summers and moderate winters. 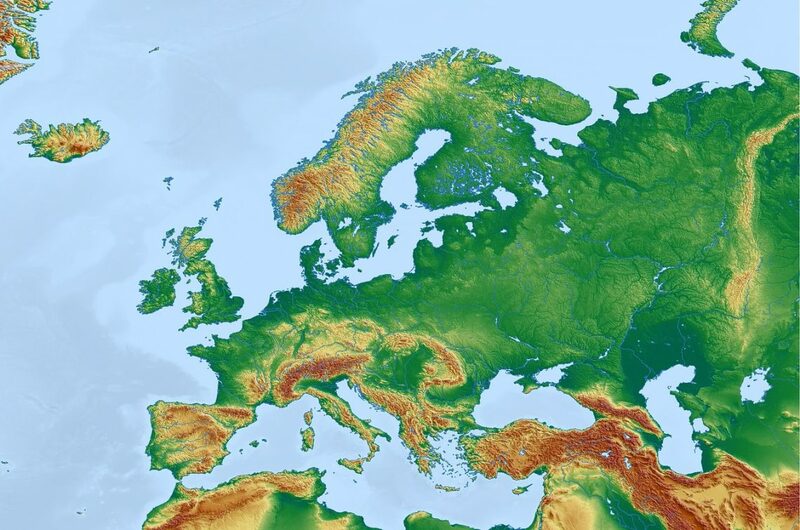 The European continent displays a relatively wide range of geographic diversity, ranging from the rolling fields and coastal plains of Spain to the snowy mountains and tundra in the Swiss Alps and Scandinavia. 28 nations in Europe are part of the European Union, an international union of sovereign states. The main currency of most countries in the EU is the euro. Modern humans began inhabiting the European land mass some 40,000 years ago. Europe was the birthplace of the Ancient Greeks, who are considered by many to be the intellectual fore-bearers of Western civilization. Europe was also the seat of the Roman empire. After the fall of the Roman empire in the 5th century BCE, most political power in Europe was divided up into smaller monarchies, each with their own feudal lords and vassals. 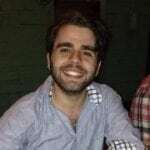 The European continent has played a key role in world history in the last 500-600 years, beginning with the Age of Discovery, during which many European nations seeded colonies worldwide. European culture and politics were shaped by the Enlightenment and subsequent Industrial Revolution, leading Europe to become a major world power for most of the 18th and 19th centuries. Since WWI and WWII, European global dominance has declined as the US and Soviet Union entered the world stage. Paris is the capital city of France and is also its largest by population. As of January 2019, the larger Paris metropolitan area had a total population of over 12 million people, with over 2 million located directly in the city borders. It has historically been one of the world centers for the arts, music, fashion, science, and commerce. Today, Paris is known for its historical monuments and museums, including the Arc de Triomphe, the Eiffel Tower, the Louvre, Notre Dame Cathedral, and the Champs Elysees. Paris is divided into 20 separate sectors, each called an arrondissement, with each sector falling under separate administrative control. The architectural layout of modern France directly descends from urbanization reforms spearheaded by Napoleon III during the late mid 19th century. One of the most famous cities in the world, the city of Paris has existed in some form or another since the first century CE when it was called Lutetia. After the fall of the Roman empire in the 5th century CE, King Clovis I united all the independent Frankish tribes under one banner and named Paris as the capital city of his kingdom. Under the rule of the Capetian dynasty of French monarchs (c.900-1200), Paris became one of the most prosperous and largest cities in Europe. During the middle ages, Paris was the seat of the powerful French monarchy, and later a hub for the Enlightenment. Bucharest is the capital city of Romania and is also the largest city in the country. 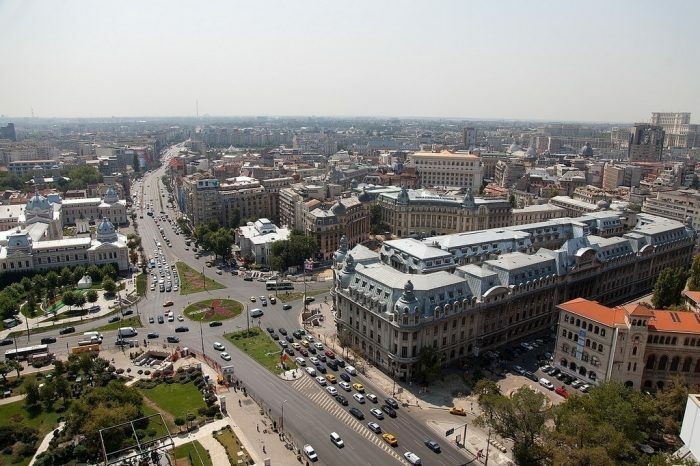 As of 2019, Bucharest has a population of 1,800,000 people within its city limits. bucharest is the financial and cultural capital of Romania and is one of the largest cities in Eastern Europe. As such, it is a popular transportation hub and many stop through while traveling across Europe. The larger city of Bucharest is divided into 6 smaller sectors, each governed by its own mayor. The majority of the population (96.1%) identifies as Romanian orthodox, with smaller communities of Catholics, Muslims, and jews. Bucharest has been occupied in some form since antiquity, but it was officially adopted as the capital of Romania of 1862. The city has an architectural style that is a combination of classical and communist-era architecture, giving it a unique identifiable appearance. Bucharest has the largest parliamentary building in the world, the Palace of the Parliment, with over 3.9 million square footage. Bucharest is also known for being the home of Vlad Tepes Dracul III, the Wallachian prince whose infamous brutality and cruelty was the inspiration for Bram Stoker’s Dracula. Amsterdam is the capital and largest city in the Netherlands. Even though Amsterdam is officially the nation’s capital, it is not the seat of the government. The seat of the Netherlands government is located in The Hauge, a city in the western province. Amsterdam has a population of over 800,000 in the city limits, and over 2 million counting the surrounding metropolitan areas. 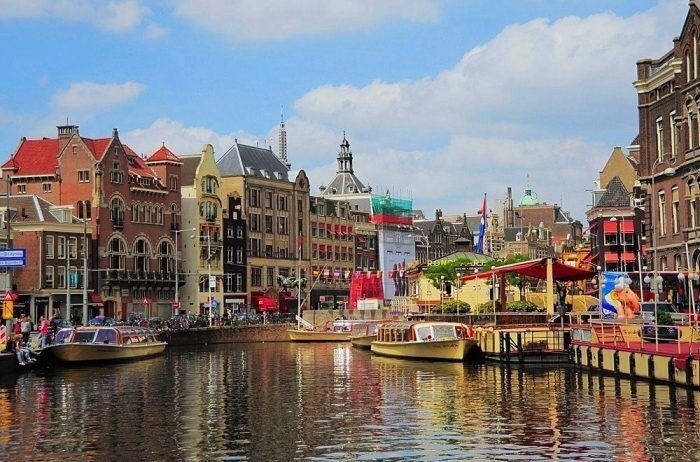 Amsterdam is one of the economic and financial capitals of the world and also one of the most culturally diverse cities, representing 177 distinct nationalities. Amsterdam has a compact urban design. Each square kilometer contains an average of 4,457 inhabitants. Amsterdam is a cultural capital and a highly visited tourist location. One of Amsterdams most notable features is its elaborate network of canals that are used to manage the cities water levels, waste, and transportation, and commerce. The canals are the result of city planning during the 17th century when immigration to Amsterdam was very high. Amsterdam is also known for its “red-light districts,” neighborhoods where prostitution is legalized. Famous historical residents of Amsterdam include the artists Rembrandt and Van Gogh, the Holocaust victim Anne Frank, and the rationalist philosopher Baruch Spinoza. Quite possibly the single most famous city in the world, Rome is the capital and largest city of the nation of Italy. 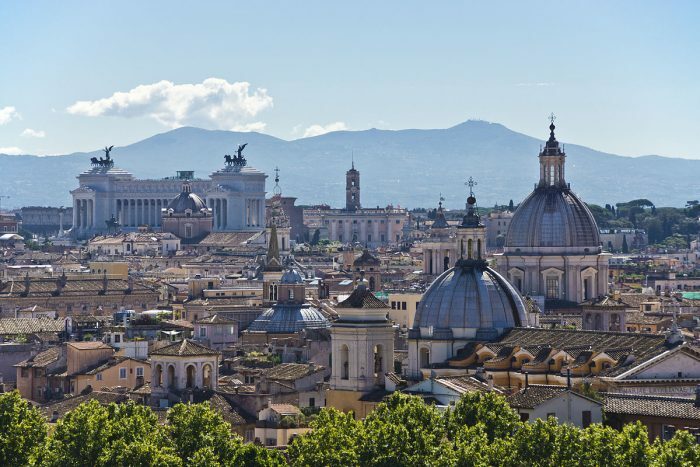 As of 2019, Rome has a city population of 2.8 million with over 4 million counting the surrounding municipalities. Rome is the 4th most populated city in Europe and one of the worlds economic centers. Rome is the only city in the world that contains another sovereign nation within its borders, Vatican City. Rome has a large tourism industry as people from around the world flock to see its famous historical monuments, including the Coliseum, St. Peter’s Basilica, the Trevi Fountain and the Roman forum. The city of Rome is divided into 15 subdivisions called municipi (municipio sing. ), each governed by an elected president and council. Rome has sometimes been referred to as “Caput Mundi”— the capital of the world. Rome has been continuously occupied for over 2,800 years since several villages in the hilly region over time coalesced into a singular city. According to the legend, Rome was founded by Romulus, a man who, along with his brother Remus, were raised by a wolf. After deciding to found a city, the two brothers got into an argument during which Romulus killed Remus and gave the city his own name. Over the course of the centuries, Rome became a powerful republic and, eventually, became the seat of the Roman empire. At its zenith, the Roman empire contained 65 million inhabitants, almost a fifth of the world population at the time. Rome also became the seat of the Papacy who to this day maintains authority over the global Catholic church. Stockholm is the capital city of Sweden and the largest country in the Scandinavian region. The larger metropolitan area contains 1.5 million people with over 900,000 contained in the city limits. Stockholm is the cultural and financial center of Sweden and accounts for a third of the nation’s GDP alone. Stockholm has some of the top educational centers in Europe for the arts and sciences and is also one of the cleanest capital cities in the world due to the virtually complete absence of heavy industries like fossil fuel production. It has become a technology hub in the past decade. Stockholm has been occupied as early as 6,000 BCE but is considered to have been founded in 1252 by Birger Jarl. Due to its location on the Scandinavian peninsula, Stockholm became an important strategic and economic asset, which shaped how the city grew over the centuries, allowing Sweden to become major political power during the 17th century.